Born 3 December 1896 in Blackpool, Lancashire [registered in Fylde, March 1897]. Birthnotes The date of December 1896 is confirmed by his death registration. According to the 1901 census, Herbert is the eldest of two children to Arthur Herbert and Lilly, and they live at 88 Lower Bents Lane in Bredbury, in Stockport. According to the 1911 census, Herbert has another brother, and now the eldest of three (Arthur was born in 1902, back in Blackpool). His father is a commission agent and they all now live at 30 Seymour Road in Blackpool, with two boarders, Betsy Hamer and Christopher Chapman. The census reveals that Herbert was one of five children, and one of his siblings had died. According to the 1939 register, Herbert, a newsagent and stationer, is married to Florence, and they living at 99 Manor Road in Fleetwood, along with their daughter, Lucy. Married to Florence Walker (b.25 February 1897) [registered in Fylde, September 1920]. One daughter, Lucy (b.29 May 1926). Died 11 September 1973, aged 76 years 282 days [registered in Fylde, September 1973]. Height/Weight 5' 8", 11st. 0lbs . 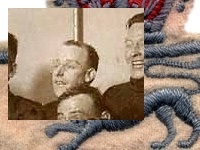 Taffy Jones began his football career with South Shore Strollers FC and Fleetwood Town FC in 1920. He joined his hometown club, Blackpool FC, making his debut on 16 December 1922. He went on to make 94 league appearances. Blackburn Rovers FC signed Jones on 30 December 1925 for a £3850 fee, a record for the Seasiders, after weeks of negotiations. Jones went on to play 247 league games until 7 June 1934, when he joined Brighton & Hove Albion FC for a single season making 37 league appearances. He finished his career back at Fleetwood Town FC. Club honours FA Cup winners 1927-28. Individual honours Football League (three appearances). Player number One of four who became 517th players (517) to appear for England. First match No. 153, 2 April 1927, Scotland 1 England 2, a British Championship match at Hampden Park, Mount Florida, Glasgow, aged 30 years 120 days. Last match No. 159, 31 March 1928, England 1 Scotland 5, a British Championship match at Empire Stadium, Wembley, London, aged 31 years 119 days. No additional information. - An English Football Internationalists' Who's Who. Douglas Lamming (1990). Hatton Press, p.146.